UAE residents like to travel. The latest figures show that travel spending from people here grew 8.2 per cent in 2015, reaching Dh76 billion. Gulf News worked that out as an average of Dh8,174 a year per person. It also reports that the spending is on an upward curve, predicted to rise by another 40 per cent in the next four years. If you simply want to see a part of the world you’ve never explored before then why not choose your next destination based on the best value to be had? A combination of fresh routes from airlines and falling prices means that Asia and Eastern Europe have become more popular among UAE residents. Dean Wicks, chief flights officer at Wego.com, told Khaleej Times: "The median cost of airfares to the US is 1,900, to Europe 992, to Africa 864, and to Asia 645. With flights becoming more affordable to Asia, it's understandable that family holidays to the region are becoming more popular." Travelling abroad doesn’t have to be as expensive as you fear it to be. Sit down and plan out the full cost of your next holiday so that you know how much you need to save. Then, consider some of the tips in this piece from The National – including clearing your browsing history, looking for alternatives to hotels, using price comparison sites and traveling ‘off season – to see if you can bring that cost down. You need to end up with a plan for your ideal holiday at the best possible cost. Once you’ve got a figure you need to save up to be able to afford it. Go back through the last three months of your accounts and look at where every dirham ended up. See if there are any bills you can trim or any bad spending habits you can remove. 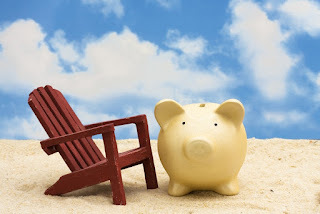 Having your holiday goal in mind will spur you on to save as much as possible. You could also explore the possibility of taking on extra hours at work so that you can earn more money. If this is an option, divert the money direct into holiday fund so that every extra hour you work is put to good use. Don’t ‘just save’ money as this is likely to be a slow process. Smart savers also look to have a pool of money that they can invest and grow. You’ll need to get up to speed on your trading terms before you start but, provided you know what you are doing, this can ensure you maximise the money you have. Thrifty travellers carry on earning while they are on the go – especially if they go on long adventures overseas. Taking up part time work while you’re away – or carrying out freelance work for a contact in the UAE while you are there – can help to make living costs much less of an issue while you’re abroad.